Ben Slade is an agent with the CIA. More specifically, he is one of the Sensitives, a spy for the Agency who is also ranked as an ace in the mind-reading psychic department. 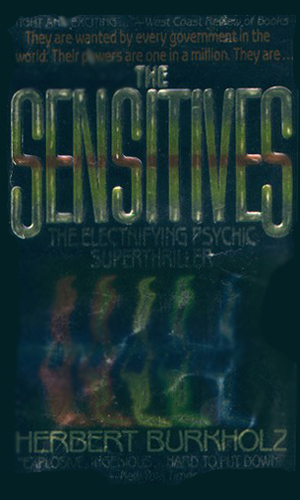 The Sensitives are telepaths, highly unique gifted individuals who can read the minds of the general population. With the gift, they prove invaluable in many different aspects of intelligence gathering. Still, a Sensitive is not a perfect weapon as they burn out quickly. The average life expectancy for one is thirty-one years, two months. Because they are rare and because they do not survive long, they are treated as prized resources to be used only when absolutely necessary. 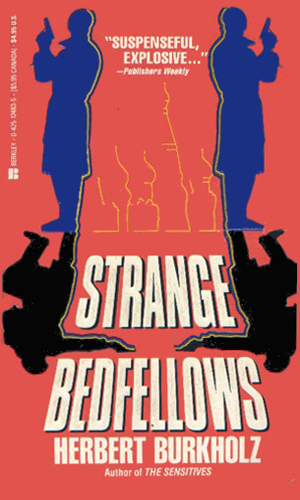 This low life span, plus the fact that the other sides also have their versions of the Sensitives, makes this an interesting blend of sci-fi and spy-fi. As the series starts, Slade is 30 years old and, knowing the statistics about people with his ability, realizes too well that he likely will burn out and die inside of two years. It does not stop him living his own life but it does shape many of the decisions he makes. That knowledge and the intense headaches that come with using his power makes his life interesting and depressing at the same time. When he is not on assignment for the government, he makes additional money, with the knowledge and consent of his control agent, by playing high stakes poker. He has a pair of “backers” who bankroll his part for 75% of the take. He makes sure that he never wins more than 3 out of 4 nights to keep himself from being banned by the casinos but he still takes in nearly twenty thousand a winning night and puts it all away in a safe deposit. Since he makes very good money from his real government job, the money is extra. Since he truly does not believe he will be alive in two years, he knows amassing such a nest egg is probably fruitless but reading minds is what he does and he might as well make money doing it. Ben Slade is in a race to get possession of a revolutionary new computer chip which can change the balance of power. On the other side is another sensitive, a KGB agent who is also the woman Slade loves. The Soviet Premier, Mikhail Gorbachav, is almost assassinated by one of his inner circle. The CIA needs the services of Ben Slade to dig into the rumors and come up with the truth for the tremendous political value that would come. Prior to his death, the ailing Deputy Director of Operations at the CIA sent his top agents out performing strange and inflamatory actions. It is up to Ben Slade to find out why and to stop the escalating turmoil. Mr. Burkholz should be congratulated for having come up with an interesting blend of genres, keeping true to both without any apparent hitch or compromise. The plots are well thought-out and the action moves quickly and competently. If you are seeking a bit of a change, this series is a good one. 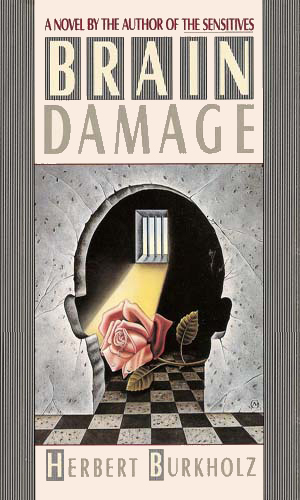 The writing is very good and the characters well described. The plots are intelligent and worth following. Ben Slade is not a showoff or a superstar, just a man with a unique talent that makes him incredibly valuable and dangerous, one that can be very profitable for him but which will kill him in time, if someone does not do it before that. It is a good series to spend some hours with.